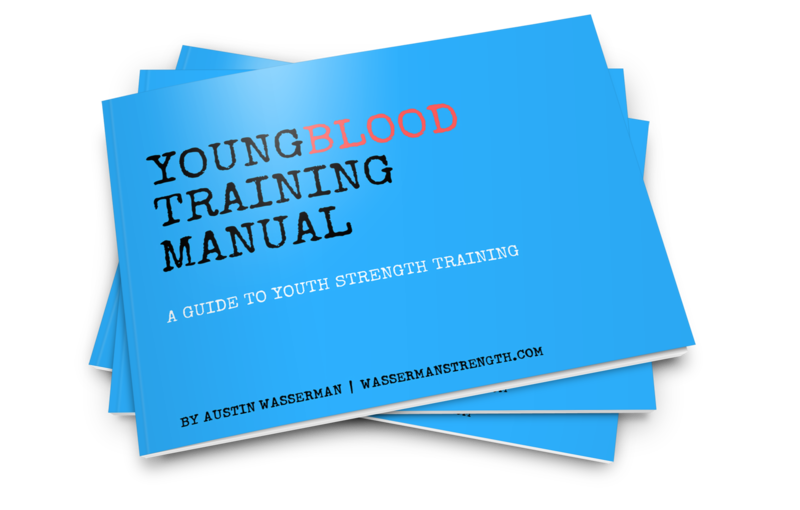 The Youngblood Training Manual: A Guide to Youth Strength Training was created to help youth athletes Master the Basics and learn the Foundational Components of Strength & Conditioning! This simplified and easy to follow digital product, otherwise known as an E-Book, will help parents and coaches teach their young athletes about safe and effective training, exercise technique, basic programming, on-field training options and much, much more! When you finish the 6-month program, you can cycle through the program again, increasing the intensity (load), to challenge yourself even more OR you can check out The Baseball Strength Training Manual for those athletes transitioning from middle school to high school! All of these components are important in a training program, but WHEN and HOW to implement these components can sometimes be difficult. This book will break down those components in a functional, efficient and practical way for your youth athlete! Online support is available if needed. Please email austin@wassermanstrength.com with any questions, concerns or exercise modifications needed. When you purchase this product, you will receive an email receipt with a link to download The Youngblood Training Manual as well as the password to gain access into the exercise video library!